Some days ago I received a promo package from Vlado Kormos, the mastermind behind Sabinas Rex, which is supposed to be a Rock Opera. The special thing is that this album isn't available yet. You can't buy it, for now it's just a promo release to get attention from new sponsors or investors. So this isn't a typical review this time and I won't give a rating here, because it isn't the final product. Please keep that in mind. I'll tell you what is good about it and what should be improved till the final release. I think this is a fair deal. First thing I like to point out is the fact, that I got a physical 2-CD package in a DVD case, including a 30 pages booklet with lots of paintings and the whole story in it. You can't imagine how rare this is nowadays. Normally you just get digital promo releases, that means MP3s and that's it. For sure this is the easiest way, but it's hard to stand out of the mass, because every label is doing it this way. So I was really happy to hold a physical promo package in my hand. It shows me that someone has made an effort to present something special. Especially when I look at the booklet I see how much work is in it. I repeat it again: this is just promo stuff. Nobody cares so much about it, but Vlado did. Big praise from my side for that. Others should follow this way. Next good thing is the story. Like I said, you can read the comprehensive story throughout 30 pages and it's all set in the music, so maybe you can imagine how much work and passion lies within this project and how ambitious it is. The story is told in 20 songs! It is set in a dark fantasy world, where elves, witches and demons fairies lived together in peace and talked directly to Gods until mankind came along and build churches. 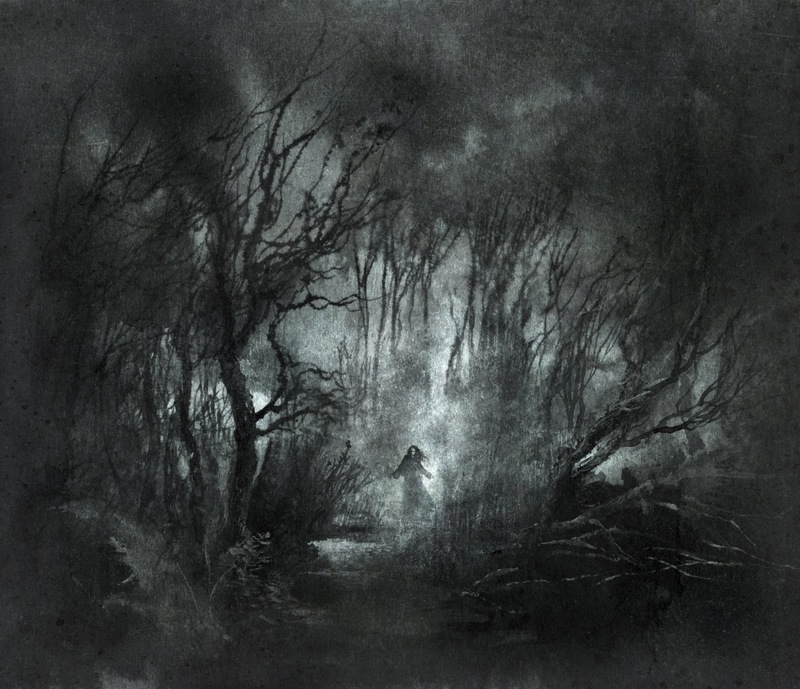 Only bishops were allowed to talk to God now and the mystical creatures vanished in the Fray (some kind of forest). A young girl, named Sabina, lives there too and still talks to Gods secretly. Due to some circumstances Sabina gets between the lines of good and evil. 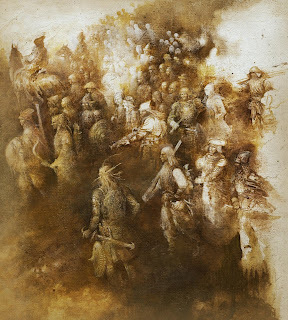 You see it's typical fantasy story telling, but the focus lies on one thing: faith. Although there are lots of cliches in the story it's still very complex and interesting. What surprised me is the number of guest musicians. 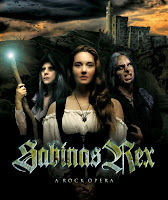 Sabinas Rex comes along with 11 guest vocalists (Cara Lynn Robinson, Chandler Mogel, Baron Misuraca, Rek Anthony and others) and the good thing is everybody is doing a good job and they also fit to their roles very well. I've to say I don't know anyone of them, but that hasn't something to say about their qualities. But what do you finally get here musically? I won't discuss individual songs. That would go to far here. I just want to give you an overall impression of what you can expect. 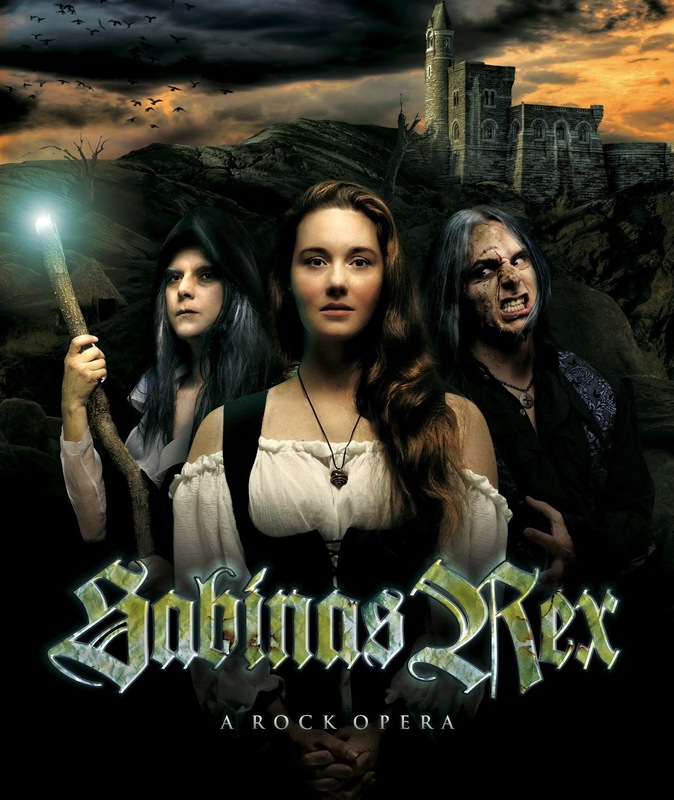 Sabinas Rex wants to be a "Rock Opera", but there is too less Rock on many tracks. The focus lies more on Keyboard melodies. Ok, you have some electric guitars in it, but it never sounds too heavy so you can't call it Metal or Hard Rock. 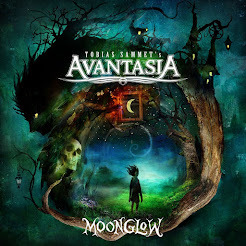 It's more a pop/rock thing with lots of symphonic elements. Everything sounds very theatrical and a bit dark. I hear also some progressive and gothic influences. The Songmaterial is not very accessible or catchy. You need some time to get into the songs. Melodies are often not so obtrusively. Finally that works with most of the tracks, but other ones are a bit weak. Mostly this is due to the fact that some songs haven't a real red line in it. So song structures are sometimes not so easy to follow. But maybe it is Vlados vision to present that complexe story in such tricky structures, maybe as some kind of stylistic device. For me, that wasn't my cup of tea, but this is still a matter of taste. To me it felt a bit immature. Sometimes I thought: "Better leave out some songs and focus on the really good ones. Quality is better than Quantity." Speaking about the sound you also have to deduct some points, but that's clear, because we don't deal with a big budget production here. The overall sound is a bit thin and in some parts it sounds more like demo material. Also the orchestration is not as good as it could be. You just hear that it's only done by Keyboards and that's the reason why some of that big epic scale, which I take for granted in good rock/metal operas, gets lost. So finally I can say that Sabinas Rex is a very ambitious project with really good approaches, but for now it needs some more fine tuning in sound, production and also songwriting. Most of this can be solved with a bigger budget. If you are interested in this project or if you know a producer, sponsor or investor please get in touch with Vlado on his MySpace page. You'll also find some sound samples there. Vlados project has potential and it seems to be his lifetime-work. It just needs a very experienced and leading hand to bring it to the people in the right way. Maybe this one would be a good candidate for a Crowdfunding campaign. Anyway, I'm looking forward to the final album release, where the weaker points are solved.